If you’re a first-time homebuyer, you know it can be an exciting and nerve-wracking process. You may even feel overwhelmed whether you’re single, newly married, or a young family. Finding the home of your dreams is usually the easy part. Figuring out if you can afford it, what type of mortgage to get, and budgeting for monthly and annual homeowner expenses… Well, that can be challenging. Ocala and Marion County has a wide range of properties and options, and using the knowledgeable REALTORS® at Showcase Properties can help you navigate the complexities of house-hunting and mortgages. We know this area—from tidy condos to traditional family homes, from estates to professional training horse farms. 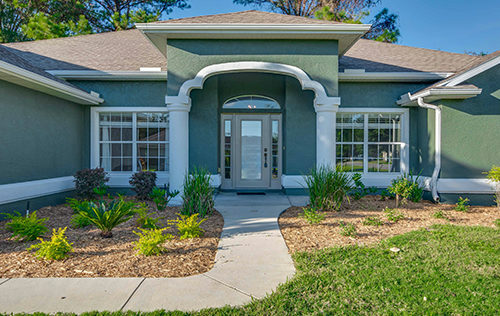 We’ll share our local expertise and help you find a home in Ocala that’s in your price range. We’re proud to offer this guide to buying your first home in Marion County and have friendly staff available to answer any further questions or help you start the homebuying process today. Our first bit of advice about the home buying process will save you some time, energy, and heartache, and it’s this: Set your budget first! When you’re seriously house-hunting, it’s no fun to fall in love with a house you can’t afford, so don’t even look at them. Taking the time to calculate the maximum price range you can afford will set you up for home-search success. Here are some questions to ask yourself in order to calculate your home buying price point. Whether you’re buying a home as an individual or as a couple, you’ll need to identify your monthly net income. Your net income is the amount of your monthly income that isn’t already spoken for by fixed expenses such as health insurance premiums, taxes, retirement account contributions, or anything else that’s taken directly from your paycheck. What amount ends up in your bank account and is available to spend every month? What is 25-30% of your monthly net income? For decades, the recommendation from experts was that only 30% of a household’s net income should go towards housing expenses; more than that, and a household is considered financially burdened. Some modern financial experts recommend a more conservative approach of allocating only 25% of your monthly income to housing. Your current financial situation, plans for the future, and an honest look at where you prefer to spend your extra money, should all be taken into account when you are deciding how much of your monthly household income is going to be allocated to housing. How much money will you apply as a down payment? You’ll need to apply some cash to the purchase of your new home. The more you put down now, the lower your monthly mortgage payment will be. The size of your down payment can drastically affect your monthly mortgage payment. Typical down payments range from 5-20% of the home’s purchase price. Another point to consider is that much of Marion County is considered rural, and as such, many properties here can qualify for USDA Rural Homebuyer programs. Some of these have either no down payment required or grants and loans for down payment assistance options. It’s worth looking into if you’re shopping outside city limits. For traditional mortgages, if you decide to put down less than 20%, you’ll need to budget and pay for Private Mortgage Insurance (PMI). The cost of PMI can range from .5-1% of the loan balance. 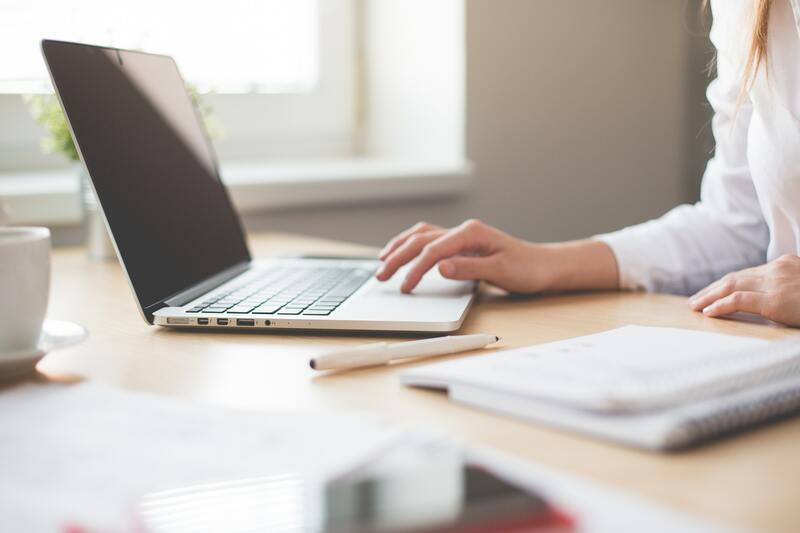 An online mortgage calculator can help you experiment with different purchase prices, down payments, and loan terms to see what your monthly house payment could be. You can get an idea of mortgage interest rates at Bankrate.com or by contacting your local Marion County lender. Beyond down payments, you’ll also need to budget for one-time closing costs, various closing fees such as document stamps and taxes, title fees, and other mortgage attainment costs. These are typically 2-5% of the home’s price. The interest rate you’re offered on your mortgage will be a reflection of this score. Check your credit score with a free credit monitoring company such as Credit Karma or on AnnualCreditReport.com. The higher your credit score, the lower your interest rate and monthly mortgage payments will be. What are your other monthly homeowner expenses? You can’t own a home without paying taxes and insurance. The annual property tax amount is usually found on the home’s sale listing and your Showcase Properties REALTOR® is happy to help you locate this number. If you prefer to do the research yourself, the Marion County Property Appraiser has a property tax calculator on its website. If it’s an annual amount, divide it by 12 months so you can budget it into your monthly home expenses. Homeowner’s insurance can be purchased through a wide variety of insurance companies. Start by getting a quote from your current auto or renter’s insurance company and use this number in your calculations. Now that you’ve figured out your monthly household income and how much your mortgage could cost you every month, it’s time to factor in the other expenses that come along with home ownership. Start with your fixed expenses, those things that cost the same every month and are a non-negotiable part of your life. For many people, that list includes mortgage/rent, auto & home insurance, utilities, cable/internet/phone, and debt payments. After you subtract all these numbers from your monthly household income, you can see what is left for discretionary spending. Look at your actual spending over the last few months and figure out where your money goes. How much do you spend on gas, groceries, dining out, gym memberships, and entertainment? Now is a great time to create an in-depth budget if you don’t already have one, and you can find an abundance of advice and tools for budgeting online, including You Need a Budget and Mint.com. Whether you embark on an in-depth budgeting journey right now or just identify how much you spend each month, the end goal is to see if the house of your dreams is really affordable. You’ve identified your fixed expenses and calculated how much discretionary money you typically spend each month. What about savings? This part of the budget is especially important for homeowners. Broken air conditioners, busted plumbing, and leaking roofs are all common repairs that may be needed in your new home. A recent report by Porch.com revealed that experts advise saving at least 1% of your home’s value each year. HGTV provides a list of home expenses to anticipate and what you can look for when buying a house in order to avoid some costly repairs. Save yourself the stress that comes with unexpected bills by saving now for home repairs in addition to your typical retirement and emergency fund savings. You’ve defined your budget and are ready to find the perfect first home. Before you start touring homes in earnest, take the time to get pre-approved for a mortgage loan. (Note that a pre-approval is a more definitive than a pre-qualification; a pre-approval actually involves a formal mortgage application.) This way, when you find the home of your dreams, you’ll be prepared to make a strong, substantiated offer to the seller. While there are different types of mortgages, loan terms, and interest rates, once you know the basics you’ll be comfortable deciding what is best for you. Bankrate.com offers this handy comparison of mortgage loans. Start by looking at the programs offered by any financial institutions you currently use; then compare their rates to others. Many banks and credit unions have special programs for first-time homebuyers so be sure to ask around. A common incentive for first-time buyers with good credit is a lower down payment, such as 3%. With your pre-approval in hand, you’re ready to find and secure the home you’ve been dreaming about. Home ownership in every region, state, county, and town has its unique characteristics. Population size, climate, and economy all affect the real estate market and your new home. At Showcase Properties, we know Ocala and Marion County and use our local expertise to make home buying dreams come true in our community. Ocala has a diverse offering of real estate, from residential properties to horse farms and vacant land. If you’re contemplating a move to Marion County, consider that our cost of living is 12.10% lower than the U.S. average. According to BestPlaces.net, Marion County real estate is a great investment as home appreciation is up 8.6% in the last 12 months. The median starter home price in Marion County is $120,000 while rural estates and horse farms begin around $450,000 and can go as high as $6 million. 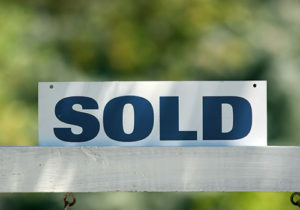 For more first-time home buying tips, check out this local resource from Ocala.com. Whether you’re looking to relocate to Marion County or are an Ocala local looking to buy your first home, Showcase Properties is here to help you through every step of the home buying process. Browse our current listings to find the perfect home or farm for you. If you have any questions, don’t hesitate to contact us or speak with a friendly and knowledgeable member of our team.